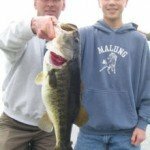 anglers of producing excellent fishing and trophy largemouth bass. The lake received national attention during year 2001 when professional angler Dean Rojas broke the all-time B.A.S.S. 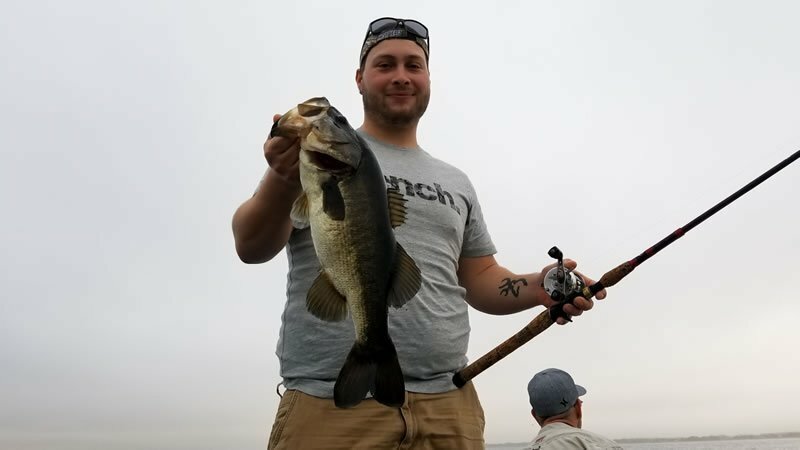 tournament record for total weight with a catch of 108 pounds of Trophy Bass. During the four day competition, two 40-pound-plus limits, 21 bass over 10 pounds, and 251 five-fish limits were brought to the scales. Two-and-one-quarter tons of Trophy Bass were weighed in during this fishing tournament. An extreme draw-down and habitat enhancement project was conducted on the lake during spring 2004 to enhance critical shoreline habitat for Trophy Bass and wildlife utilization. In all, 8.4 million yards of organic material, and associated vegetation that was too thick to provide good fisheries habitat, was removed from 3,506 acres of lake bottom. Subsequently, rainfall from the rash of hurricanes during 2004 quickly re-filled the lake to normal levels. Most anglers targeting trophy bass use live golden shiners during early spring. Shiners are fished inshore near native vegetation or topped-out hydrilla. Plastic baits (worms, crawfish and lizards) flipped along grass edges, hydrilla, and bulrush will also catch quality-sized bass. Spinnerbaits, soft jerkbaits and chugging baits can also be very productive at times. Both Texas-rigged and Carolina-rigged plastic worms, and rattling crankbaits, top the list of favorite lures during warmer months of the year. North Steer Beach, Brown’s Point and Goblet’s Cove are popular bass fishing spots on the lake. Fishing in Shingle Creek and St. Cloud Canal can be outstanding when flow is present through these tributaries. Eight, man-made fish attractors hold good concentrations of Bass in deeper areas of the lake during the summer. 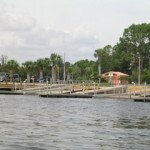 Two fish camps, one marina, one county park and four public boat ramps are available to anglers. On the north end of the lake, two fishing piers and numerous access points exist for bank fisherman. For additional information on Lake Toho Guides click here!